Listen carefully, what do you see? When Book One of Our Trakl emerged two years ago, attentive readers and lovers of beautiful books sensed the beginning of a very special project dedicated to the work of the Austrian poet who continues to intrigue and enthrall us more than one hundred years after his untimely death in 1914, at the age of twenty-seven. Translator James Reidel was introduced to Georg Trakl in the late 1970s, when he was himself beginning to write poetry. Early on he was made aware of the difficulty and importance of translating Trakl’s work. As the years went on, he would make his way back to Trakl through reading, and translating, Thomas Bernhard, Ingeborg Bachman and Franz Werfel. In the meantime, new Trakl translations had emerged and so, with this series published by Seagull Books, he has added his own contribution—his own approach to this ever elusive and enigmatic writer. The first two volumes of Our Trakl represent complete collections of poems, as selected and prepared by the poet: Poems (Gedichte, 1913) and Sebastian Dreaming (Sebastian im Traum, published posthumously in 1915). The third and final part, A Skeleton Plays Violin, gathers Trakl’s early and late published works, unpublished pieces, and significant variants and derivations, in yet another beautifully designed edition. 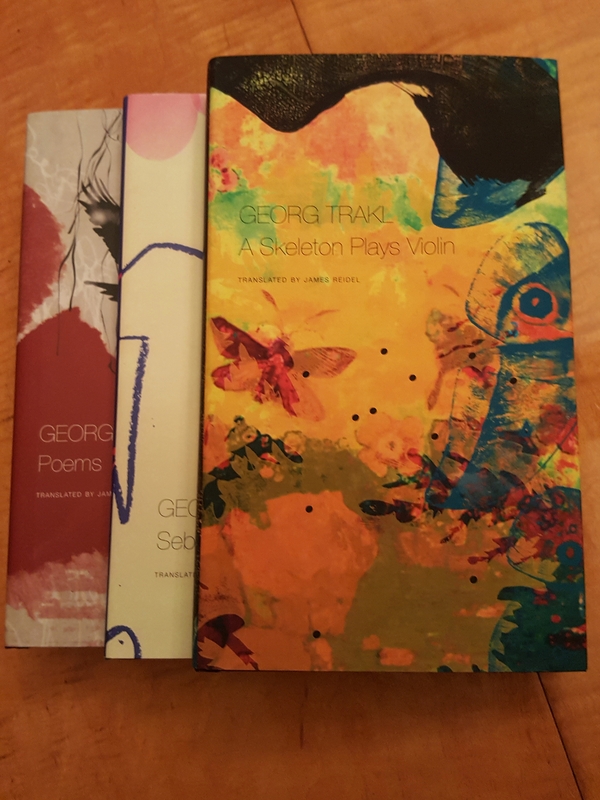 Through the poems and prose collected here, presented chronologically and woven together with a sensitive biographical essay, we can trace his development as a poet, and see potential indications of where he might have gone had he survived the war and his own demons. With Poems and Sebastian Dreaming close at hand, reading can become a truly immersive experience. Immediately one notices a strong youthful, romantic quality to Trakl’s earliest creative efforts which include prose, plays, and poetry. Religious and classical Greek themes recur, as do sombre images of suffering and neglect. Born in 1887, he began writing and publishing in his late teens when he was working as an apprentice pharmacist in Salzburg—a job that afforded him access to the drugs he had been sampling seriously from the age of fourteen and that would continue to play a significant role in his life. The intensity that is said to have marked his personal demeanour comes through in his early work, granting it an eerie maturity. From which blossom misery’s sick flowers. Into a whore foul, sick, pale with decay! Liminal beings begin to populate the poems—angels, demons, dead gods, nymphs, fawns and statues of dead nobles, hunted animals, skeletons, corpses and the ever-shape-shifting presence of the poet and the figure of the sister. And this figure may be more of a composite than we know, for Trakl adored his older sisters too. A persistent presence in Trakl’s life and poetry is his younger sister Grete. The rumoured incestuous nature—or at least longings— that bound the two is a subject of measured discussion in the biographical segments, Reidel preferring, ultimately, to leave the poetry to speak for itself, as it will. Toward the end of 1910, with a need to support himself, Trakl joined the army. He was assigned to the Garrison Hospital in Vienna where his commanding officer would later describe him as hardworking and friendly. Mid-1911 saw him return to Salzburg where he worked as a civilian pharmacist until the spring of 1912 when he was promoted to Garrison Hospital 10 in Innsbruck. Initially unimpressed with his new location in spite of its glorious forested and mountainous setting, he soon became involved with a new literary circle, and made connections that would prove critical to his career and lead to the publication of his first book. Thus he made peace with the surrounding landscape which also begins to make its way into his poetry. However, as his poetic soul flourishes, his work life suffers. 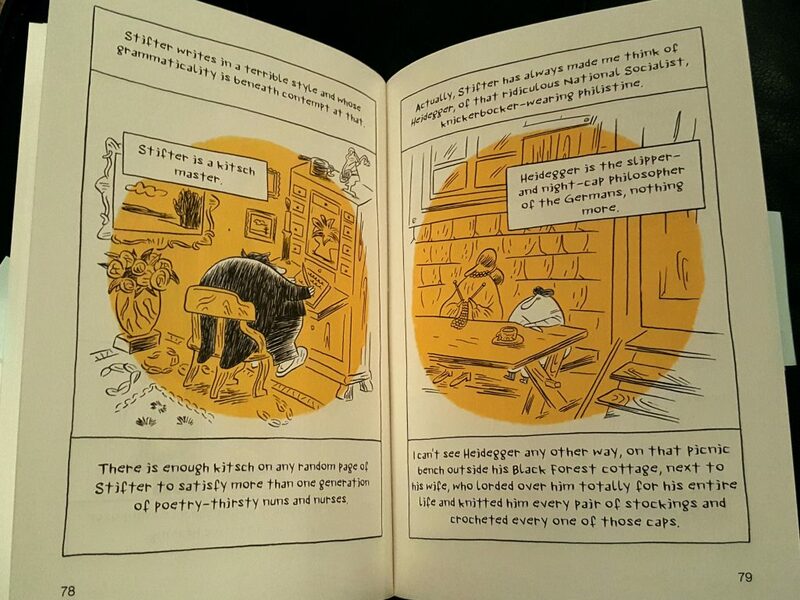 Ultimately, unable to hold a job, he surrenders himself to writing, and the increasingly reckless life of a poet. The extensive central sections of A Skeleton Plays Violin, which feature unpublished poems and versions of published pieces, offer a window into the refining of Trakl’s imagination and craft. We see him spinning, again and again, the phrases, imagery, and themes he wishes to perfect—the crimson mouth, the screaming faun, the turn of the season, the quality of light—and watch the tightening of his language as the final version is formed. Reidel’s selection covers a wide terrain, yet is careful to bring together those variants and completed works that highlight Trakl’s growth and maturity over time. It is impossible though, not to notice that his work only seems to grow darker. For Trakl, periods of depression and panic attacks marked the second half of 1913. He continued to consume alcohol and drugs, cocaine and morphine, at a remarkable rate. He saw himself as a doomed soul, even as his star was steadily rising in German poetry. He held to his writing to see him through that winter. He continued to attract impressive admirers, including Ludwig Wittgenstein, and plans were made for a second volume of poetry. However, with the assassination of Archduke Ferdinand in June of 1914, Trakl’s world was upended. With the advent of what would become the First World War, he was assigned as a medic to a frontline infantry unit heading east. The conditions soon took a toll on his mental and emotional health. He was hospitalized in Krakow following a suicide threat, and was found, in his room, on November 3, dead from an apparent cocaine overdose. Horns call in the flood meadow. Long does the moon peer inside. On a pasture in fog. Dropped clattering from a crimson brow. Until the end, Trakl held fast to poetry. It has been suggested that the news that the publication of Sebastian Dreaming would have to be put off until the war ended played a pivotal role in his final desperation. We will never know exactly what finally tipped the scales for a man whose scales tipped so heavily to dark side so often in his short life. Nonetheless, his last creative efforts form a rousing crescendo to the third and closing volume of this ambitious poetic project. When I walked into the garden in twilight, and the black figure of evil had yielded to me, the hyacinthine stillness of the night surrounded me; and I sailed in a crescent-shaped boat across the stagnant pond and a sweet peace touched me on the brow turned to stone; and when I died in witness, fear and that pain deepest inside me died; and the blue shadow of the boy rose lightning the darkness, a soft singing; on lunar wings, above the greening treetops, crystal cliffs, rose the white face of the sister. A Skeleton Plays Violin: The Early, Unpublished and Last Works of Georg Trakl is translated by James Reidel and published by Seagull Books. 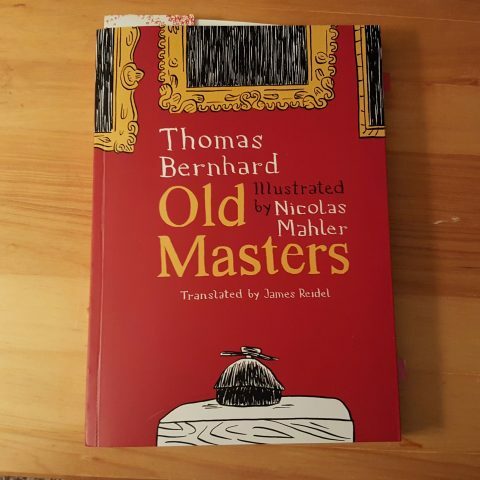 I have written about Thomas Bernhard’s novels before, but faced with prospect of writing a longer critical review of a book containing four short stories I was faced with a dilemma: What does one say about Bernhard? The question really is: How much familiarity with Bernhard should one assume? He is, most definitely, a singular writer. Those of us who count ourselves among the converted tend to have bulging bookshelves filled with a healthy supply of Bernhard’s novels, memoirs and poetry. Others are uncertain or fail to be immediately captivated. 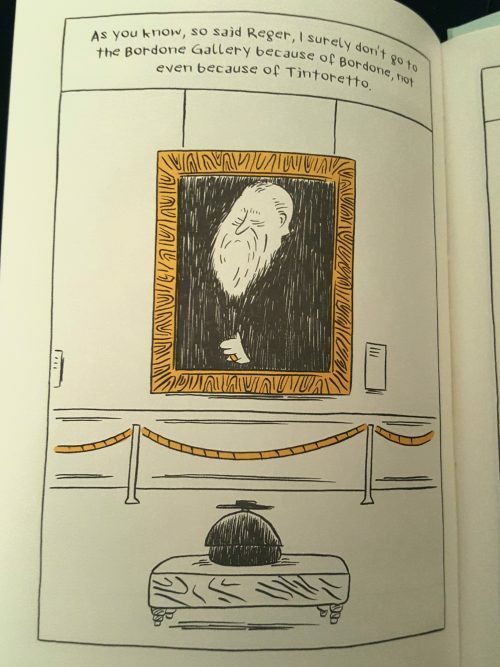 A bit of Bernhard primer is thus in order for those potential new readers, especially in this instance, because Goethe Dies, the collection at hand, offers a perfect opportunity to experience the magic of the master in miniature. A treat I argue for readers no matter their degree of prior acquaintance. So in the following review published at Numéro Cinq earlier this week I tried to balance my general discussion of Bernhard’s prose style to provide a context for the appreciation of my analysis of the stories that would not be too redundant for the experienced or too vague for the novice. Here’s a taste of the review, please click through the link at the end to read the rest. And while you’re there have a look around. There is another great issue shaping up at NC. Once acquainted with the work of the late Austrian writer, Thomas Bernhard, it is difficult to remain indifferent. One is either put off by his endlessly convoluted sentences, his bitter, misanthropic vision, and his fondness for digressive, contradictory and self-obsessed narratives; or one is swept up in the singular energetic flow of his darkly comic genius and never looks back. For those who find themselves in the latter camp, the announcement of a newly translated collection of four short stories originally published in periodicals in the early 1980’s is good news indeed. Bernhard in short form may lack the unleashed full force intensity afforded when a single paragraph is allowed to unspool over one or two hundred pages or more; but these minor works, if you like, offer a valuable and entertaining opportunity to observe a master at play in a small, contained space. 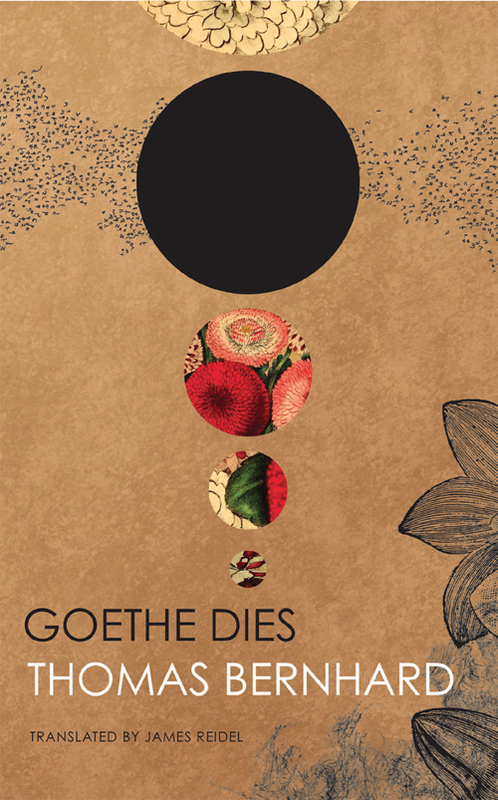 As with the early stories of Prose and the micro-fiction of The Voice Imitator, the short pieces collected in Goethe Dies, recently released by Seagull Books, highlight many of the essential elements that lend Bernhard’s work such a distinctive, infectious voice. Consequently, they may be best appreciated against a certain familiarity with the author and the idiosyncratic features that characterize his novels. Lay broken up; love and autumn reverie. So begins “Sebastian Dreaming”, the centre piece of the second and final collection of poems prepared for publication by Georg Trakl during his lifetime. His first collection, Poems (Gedichte) had been published to warm reception in 1913, but, one year later as he was awaiting the release of this volume, he received word that the war would indefinitely delay all further publications. It is thought that this news, in conjunction with the mental and emotional stress he suffered working in the dire conditions of a wartime military hospital, contributed to his early demise. On November 3, 1914, he was found dead of a cocaine overdose. He was twenty-seven years old. Sebastian Dreaming (Sebastian im Traum), represents the second book of Our Trakl, a three part series of new translations of Trakl’s complete works by American poet and translator James Reidel. Recently released by Seagull Books, this volume joins Poems, which was published in 2015. True to form it is finely crafted and beautifully presented. Although the poems here have appeared in other compilations, and editions of selected works, Reidel contends that this book deserves to be read, as Trakl intended, as a single volume. As with Poems, the reader is invited to spend time with the work as a whole, to engage with Trakl’s fractured, dream-like vision. As a reader coming to this work, I am neither inclined nor qualified to enter into a critical assessment of Sebastian Dreaming or the translation at hand. Other translations of Trakl’s poetry are available and I do not believe that any one translation is superior to another, especially with poetry, although readers, with or without an ability to approach the work in the original, are bound to have preferences. The first version of a piece encountered? The one that sounds most pleasing in English? The translation that is most exacting in content and form to the German? As noted in my earlier review of Poems, Reidel indicated in his introduction to that volume that his intention is to try to capture Trakl in a sense that would be as close as possible to the experience of the original reading, keeping in mind the time and the influences that would have shaped his work. As he explains, “I want to actually channel Trakl, his craft (with its implicit painterliness) and work ethic, to have him, so to speak, absorbed in the right dosages he – as a poet, pharmacist and addict – intended.” The care and sensitivity Reidel has brought to his work comes through, touching the reader across the century that has passed since the poet’s death. Hate scorched his heart, lust. Then he stepped into the green of the summer garden in the guise of a silent child, in whom he recognized his benighted face shining. Woe the evening at the window, when a grey skeleton emerged from crimson flowers, death. O, you towers and bells; and the shadows of the night fell upon him as a stone. The poems in this book are charged, if possible, with a more sombre atmosphere than his earlier collection. The sadness comes through clearly and lingers. The recurring themes are visited from varying angles and directions. One can sense the poet trying to focus his vision while over it all hangs the eerie premonition of death that will soon be freed from the pages and realized by the increasingly discouraged and depressed writer. Shepherds buried the sun in the leafless forest. The moon from the freezing pond in a net of hair. Or he nods his head in crimson sleep. The stillness near recalls forgotten things, extinguished angels. The sister appears in autumn and black corruption. 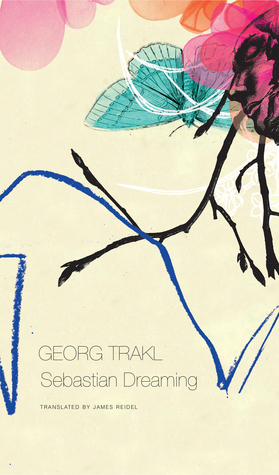 Georg Trakl’s Sebastian Dreaming: Book Two of Our Trakl, translated by James Reidel, is now available from Seagull Books. He is about to jump and let the car go on without him when it comes to a stop perilously close to the edge where passing trekkers find him and tow him to safety with their jeep. In four pages we are treated to both the wonders and the terrors of nature, narrated with the skill and confidence of a gifted storyteller. Each episode begins with an observation: “I saw an open grave in the shade of a huge araucaria pine” or “I saw a fisherman cursing as he steered for Baltimore harbour in the south-west of Ireland” or “I saw a three-toed sloth on the veranda of blue wooden house on Costa Rica’s Pacific coast” or “I saw a naked man through binoculars from my cover behind dusty firethorn bushes.” Even a tale that seems to begin with a most ordinary descriptive passage becomes, before you know it, an engaging portrait of a place, an experience, a character. Ransmayr has an uncanny ability to focus his lens on the small details to bring a location, a time, an event to life. His travels typically take him to the far reaches, off the beaten track, to locations accessed on foot, or by bicycle, assorted boats, tour buses, rental vehicles and more. 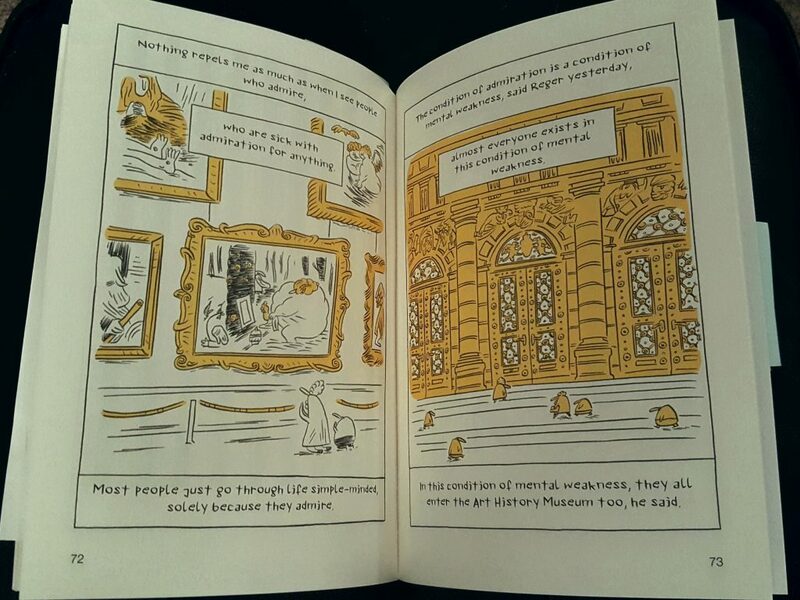 He explores history, lifts his telescope to the heavens, and encounters politically tense environments. No two entries are the same, few extend beyond 6 to 8 pages, some are only 2 or 3 pages long. I found it best to take my time with this book, reading a few entries a day and allowing the awe to linger. This is not an ordinary travelogue by any means, but it is a shimmering example of what makes the best travel writing sparkle. The theme, if there is one, that unites and drives the narrative from beginning to end is possibly simply wonder. Not that Ransmayr is blind to the poverty, suffering and threats he encounters. His immediate reactions are sometimes frustration, even fear, but he manages, remarkably to find a glimmer, an image, a thought that affirms life, no matter how small or seemingly insignificant. Thank you to Seagull Books for kindly sending me on this journey. One of the first things you need to know about Peter Handke’s The Goalie’s Anxiety at the Penalty Kick, is that here are no easy answers here. If you are inclined to believe that literature should purvey rational motivation, moral certainty, and a satisfying denouement, you might want to look elsewhere. 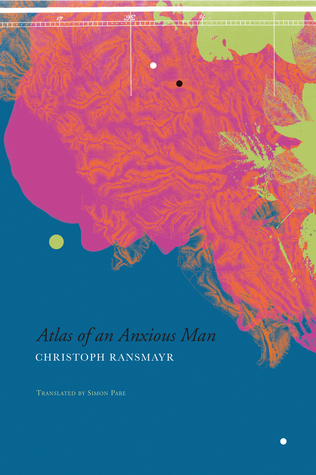 This is a novel that dismantles everything that one expects a novel to be, but, because Handke engages in this process from within the mind of man whose own processes of perception and comprehension are unraveling, one can argue that for all its inherent strangeness, The Goalie’s Anxiety approaches a reality of experience that is startling. After all, how do we measure reality? The only measures we have are our thoughts and perceptions. Narrated with an almost clinical, documentary clarity from a limited third person perspective, the reader is presented with an opportunity to exist inside the mind of a dispassionate murderer and face the uncomfortable possibility that rational explanations for behaviour may not always exist–and that someone who may not be in their right mind can be disordered not only in their thinking, but in their emotional responses. At the outset of the novel we meet Joseph Bloch, a construction worker who had formerly been a well-known soccer goalie. He arrives at work one day and interprets small insignificant signs from his coworkers to mean that he has lost his job and, taking the hint, he leaves. He goes to the movies, takes a hotel room and otherwise occupies himself with random activities. Strange moods and thoughts pass through his mind. One night he decides to wait for the cashier at the movie theatre to get off work and follows her home. When he wakes after spending the night with her, he discovers, lying in bed with his eyes closed, that an odd inability to visualize things has come over him. He tries naming objects, then making up sentences about things, all in an effort to bring the images to mind. He becomes aware of the pressure of things, distressing when his eyes are open, magnified when they are closed. His thoughts and experiences are starting to fall out of synch with the world around him. As he spends time with the cashier, he notices his irritation increasing and then, with little provocation or self-reflection, he strangles the young woman. Over time his interactions with others continue to grow increasingly surreal, at least from within Bloch’s increasingly distorted perceptions of the world. We are, after all, firmly ensconced in the head of a man whose emotional and cognitive functioning is unspooling. The story may be proceeding with detached and disconnected sequences, but the tightly controlled limited third person narrative is deeply affecting for the reader. We can only see the world as Bloch experiences it, but with just enough distance to watch the internal decline. We are told what he is doing and thinking, but everyone and everything he encounters is filtered through his distorted lens–he imagines that messages are being sent to him, even if he is not certain what they are trying to indicate, objects and events hold meaning. As his paranoia grows, his sense of prescience is also heightened and he observes that his thoughts seem to proceed the words or actions of others. At the same time Bloch exhibits an enhanced awareness of the world in small, often insignificant details that impose themselves on his consciousness to the point that he is sometimes irritated by the sensory input and his own intrusive observations. His breakdown is skillfully orchestrated. Handke captures his hyper awareness in descriptive passages that reflect the odd acuity of his attention and his internal difficulties with his own fragmenting thoughts. At one point, as Bloch tries desperately to cling to individual words, images briefly replace the terms that have abandoned him. And although, like Camus’ Mersault to whom he is often compared, he never expresses any remorse for his violent act; as the police appear to be closing in on him, his thoughts betray more than he can or will admit to himself. ‘He took a second look: no, the light switches stayed light switches, and the garden chairs in the landscape behind the house stayed garden chairs. Did he have to give a reason for walking, so that–? It is sometimes said that Handke’s protagonist stands as an allegory for the disintegration of modern man and society, but I could not help but recognize in Bloch a striking depiction of the internal irrational rationalizing of the psychotic mind. The supercharged sensitivity, the paranoia, and the ultimate inability to string together coherent thoughts all echo my own unfortunate experience with mania and the experiences of many of the schizophrenic clients I’ve worked with over the years. As the book nears its conclusion, Bloch has a recurring memory that seems to indicate there is an incident that may have been a mitigating factor in the progress of mental decline that plays out in the novel. It is subtly drawn and reinforced with the closing scene, but even then, one would imagine there might well have been an inherent psychological weakness that was triggered by the event. The 1972 movie based on this novel which marked the first collaboration between Handke as screenwriter and director Wim Wenders is more explicit in this regard, but the film proceeds with effectively disconnected and disorienting scenes to maintain the surreal feel of the book. 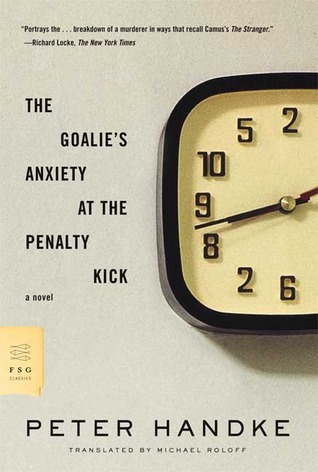 The Goalie’s Anxiety at the Penalty Kick by Peter Handke is translated by Michael Roloff and published by Farrar, Straus and Giroux. Sometimes, when I am reading a book that I know I will want to write about, my thoughts about the work at hand take form in the process of reading in a manner that will later inform and direct my review. Other times, the route from reading to writing is more circuitous. I tend to take copious notes, underline and engage with my books, but, having said that, there is always the risk of failing to see the forest for the trees (or more explicitly, failing to appreciate the text for the words). Then, when I sit down to write, no matter how much I may love the work at hand, I look back over my notebook and face too many words to sift through. 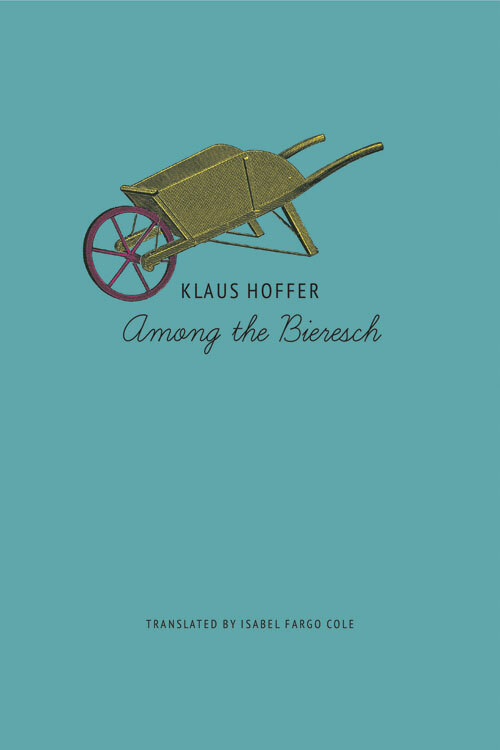 Among the Bieresch, the long-standing German cult classic by Austrian writer Klaus Hoffer is a book that threatened to undermine me, as a reviewer, with its words – words that are supercharged with meaning and reference to a broadly expanding literary and socio-economic landscape. The beauty of this book is that it works on so many levels and now, with its recent release from Seagull Books, in an animated translation by Isabel Fargo Cole, an English language audience has the opportunity to meet and explore the singular world of the Bieresch. My review of Among the Bieresch has been published by 3:AM Magazine. I am most grateful to Tristan Foster for his wise and patient editorial guidance as I floundered, at times, in my own words.